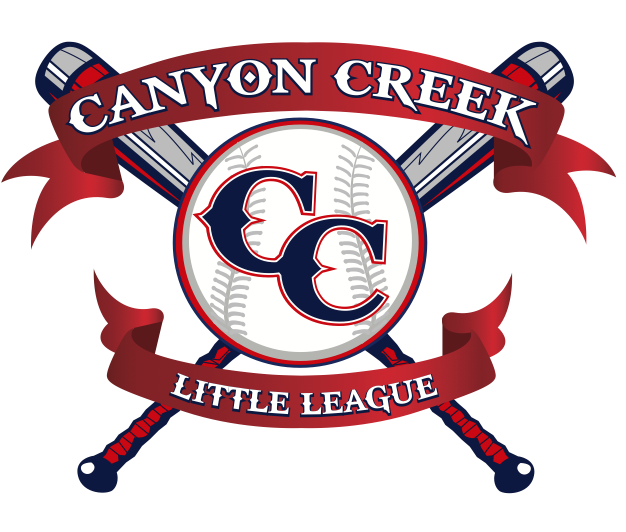 Welcome to the Canyon Creek Little League registration system. Little League Age Requirements to determine your child's League Age. Levels of Play to determine the division in which your child is eligible to play. Residence Requirements to determine your eligibility to play. Boundary Map to verify you live within the CCLL boundaries. Those who recently moved outside the CCLL boundary, but wish to continue playing in the CCLL, please click here for a waiver form. This form needs to be submitted to the for approval prior to registration. 2019 Tryouts for League Age 8 or above to ensure draft eligibility. If you have a financial hardship, please refer to our scholarship guidelines. For registration questions, please contact our . Volunteer fees will be reimbursed at the end of the season for families who volunteer 12 hours of time to their team or 6 hours to the league. On December 1, 2018, there will be a $100 increase in fees for players age 9 through 14. On February 1, 2019 and beyond, there will be an additional $100 increase in fees. First, complete the Parent/Guardian Registration. Next, if you plan to volunteer, complete the Volunteer Application/Background Check form. Next, if you plan to manage or coach, complete the Manager/Coach application. Finally, complete the appropriate League Age registration form for your player(s).